Alina Starkov is just another peasant orphan in Ravka, one of the many who have lost home and family in the never-ending wars. Her only wish is to distinguish herself as a mapmaker in the King’s Army, and to hope that someday her fellow orphan and childhood friend Mal will see past her plain looks and know her true feelings. But an excursion into the Shadow Fold – an all-consuming darkness harboring the raptor-like volcra – threatens Mal’s life and Alina’s power explodes from her in a surprising burst of light. She is the Sun-Summoner, the only one who can defeat the darkness of the Shadow Fold and bring hope to Ravka. And she has no clue how to harness her power. Swept into the richly designed world of the Grisha and the Second Army without warning, Alina is lost in the world of power and beauty. The only person who seems to understand her is the one she’s been taught to fear – the Darkling himself, the handsome great-grandson of the former Darkling who created the Shadow Fold in a misguided bid for power. The Darkling wants to teach Alina to use her power to complement his own, together he says they can deliver hope to their world. But every Grisha lesson she learns leads Alina further away from the orphan she used to be, and the boy she loved before. 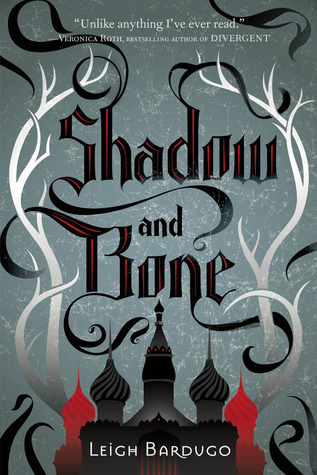 Bardugo casts an amazing spell in SHADOW & BONE, finding a gray area between the dark and the light and leading her readers down paths they won’t expect. Ooh, I'm reading this right now! 🙂 So far, so good. It's awesome!! I seriously devoured it. Waiting not so patiently for the next.